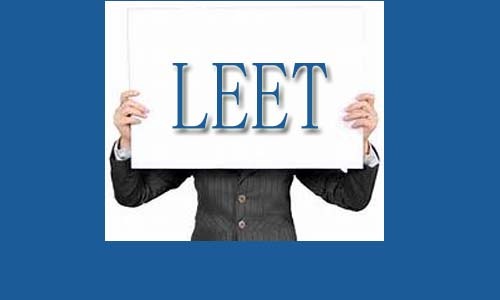 The LEET stands for Lateral Entry Entrance Exam. 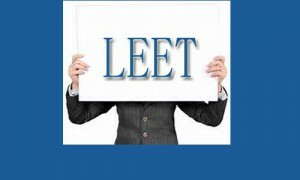 LEET Exam is conduct by Every State Technical Education Board. There is different syllabus for different Universities. This is a Entrance exam for students of all streams of Engineering/ Technology Diploma holders seeking admission to 2nd year of B.E. / B.Tech. courses under Lateral Entry Scheme. The examination has multiple choice questions . The students have to complete their diploma degree in any discipline from recognized state technical board. The students have to score 60% marks in diploma degree and they should not have any backlog in diploma degree. The student's age must not be above 28 years. The test paper will contain 150 objective- type question in all. Each question will be provided with four alternative answers marked as (1), (2), (3) and (4). Out of these, only one correct or most appropriate answer should be selected and marked on the OMR answer sheet. There will be negative marking for incorrect answers. One mark will be deducted for each incorrect answer. The test will be of two and a half hours duration and will carry 600 marks. The medium of the tests will be English only. Candidates should bring a black ball point pen to the examination hall for writing/ marking response (darkening the Ovals) on OMR answer sheet. Use of pencil is not allowed. No requests for re-checking , re-evaluation, re-assessment or security of OMR answer sheet will be entertained. For those who are unable to appear in the test on the scheduled date for any reason, retest will not be held by the University under any circumstances. No refund of fee is permissible.